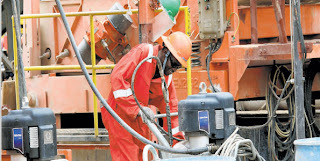 Kenya plans to construct a pipeline to supply oil to neighbouring Tanzania once it starts commercial exploitation of reserves recently discovered in Turkana County. Energy minister Kiraitu Murungi said the pipeline would link Nairobi to Arusha, with supplies being pumped from a refinery to be built in Isiolo. A new pipeline will also be built to link the refinery in Isiolo to Nakuru for onward distribution of products to Eldoret and other parts of western Kenya and northern Uganda. Another pipeline would be constructed to connect the refinery to Nairobi. “We shall talk to the government of Tanzania to see how we can supply them through a pipeline to Arusha,” Mr Murungi told a media briefing in Nairobi on Friday after a meeting with South Sudan officials. The officials were in Nairobi to review progress on a planned oil pipeline to link the port of Lamu and oilfields in South Sudan—the newly independent country. Tanzania has recently struck huge reserves of natural gas but is yet to find oil. Kenya, however, has found large reserves of oil in Turkana’s Ngamia-1 well although tests are ongoing to establish its commercial viability. The minister said the government would focus on satisfying demand in Kenya and region through products refined at the facility planned for Isiolo. “We hope to make Isiolo a hub for refined products both from Kenya and South Sudan. Our prime concern will be to satisfy the domestic needs and those of the region. Any excesses will be pumped and exported through the port of Lamu,” he said. Energy permanent secretary Patrick Nyoike said feasibility on the planned refinery in Isiolo would commence soon. “We are looking at a refinery with a capacity of processing a minimum 100,000 barrels a day because any capacity below that would not be economically viable,” he told the Business Daily. Mr Kiraitu said construction of the 2,000 kilometre South Sudan-Port of Lamu pipeline is expected to begin in June next year and completed in two years at a cost of $3 billion. A turn-off branch is also scheduled for construction to link Ethiopia. “We expect the pipeline to be up and running by June 2015,” the minister said. South Sudan’s minister for Petroleum and Mining, Stephen Dhieu Dau said his government was committed to the construction of the joint pipeline with Kenya. “This project will help change the face of the region and the lives of the people of Kenya and South Sudan,” he told the media briefing. He said South Sudan planned to increase its production capacity from 350,000 barrels per day to about one million. “We are working to offer incentives and an enabling environment for investors so that this project would succeed,” Mr Dau said. The minister said South Sudan has an oil reserve of about seven billion barrels within its territory, boosting the viability of the joint pipeline project with Kenya. “We have several concessions that have not been explored and we hope to see bigger output when they are explored,” he said. South Sudan Finance minister Kosite Manibe said the huge reserves of proven deposits of oil reserves and inter-governmental agreements with Kenya would serve as a guarantee for financing the pipeline. “The oil resources are real and more are being found…we believe the money will come,” Mr Manibe said. Mr Murungi said Kenya and South Sudan are negotiating an inter-governmental agreement that would provide a legal framework for the joint pipeline project. Landlocked South Sudan is looking for an alternative route through Kenya to export its oil following feuds with Sudan, from which it split in July 2011, over transit fees and revenue sharing. South Sudan has shut down its oil production because of the disputes over pipeline fees with Sudan. 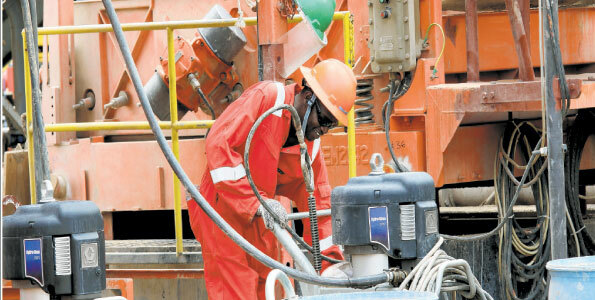 South Sudan hopes to resume oil production in September.